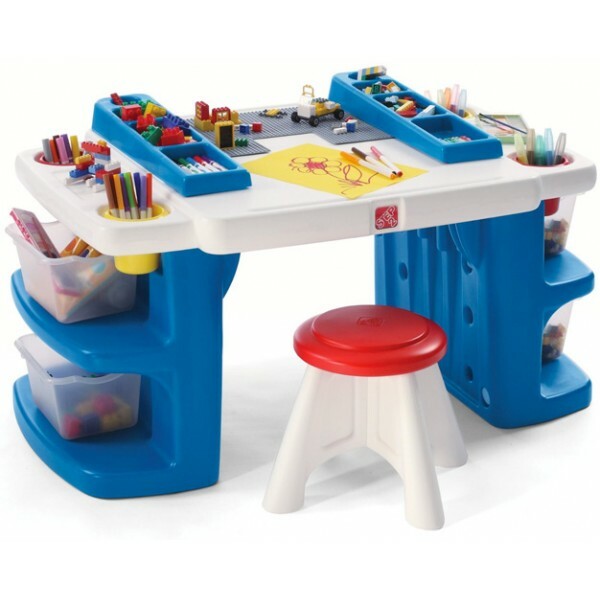 The Step2 Build & Store Block Activity Table is a multipurpose table is the perfect play space for building, drawing, or any creative adventure. 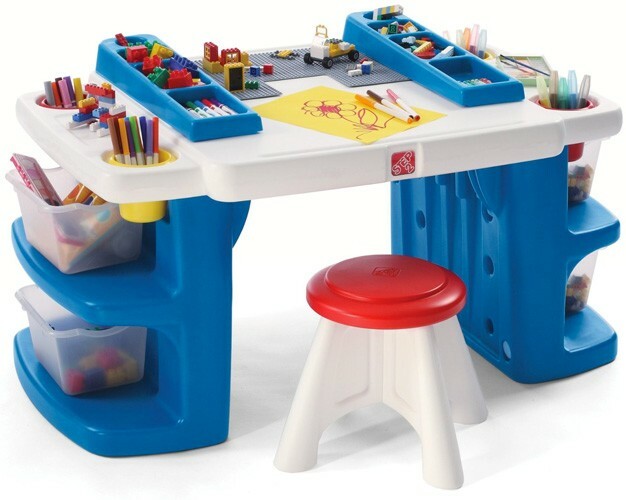 With lots of storage and removable block plates, it's also a perfect activity table! Made in USA. 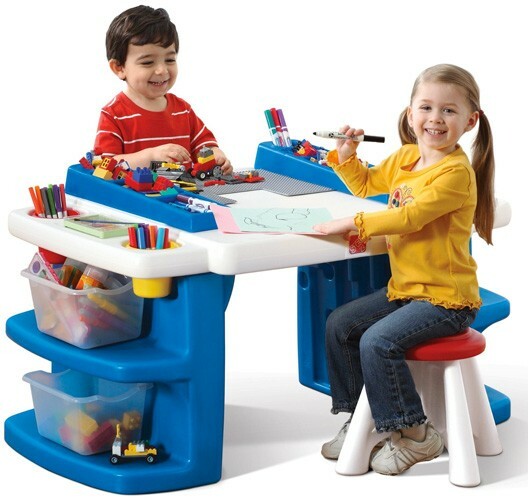 This table can be used as a desk for building with blocks and the snap sheets work with Lego, Duplo, and Mega Blocks. Creative accessories and building blocks depicted in the item photo are not included. Minimal adult assembly required.